I’ve been in NL since Wednesday morning, doing simple things like sleeping a lot and eating regularly, getting the basics of my life here in order: tax papers, bank account, phone, health insurance. I’ve spent a lot of time simply marveling that I am actually here, that I pulled this off. I’ve been planning this move for so long…that I get to do it with someone I love is just so awesome and unexpected. 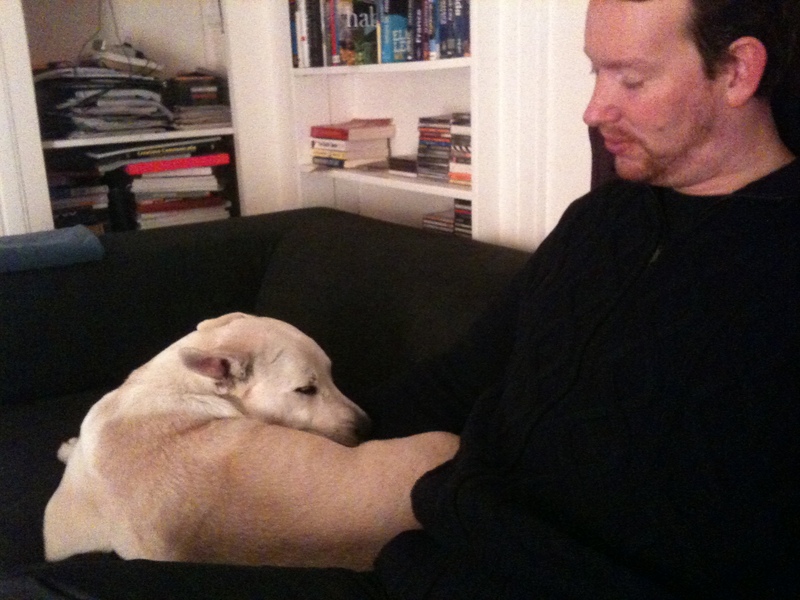 He’s getting on fine with the dog, who seems to have actually thrown me over for a Dutch guy. The blooming love affair between them is a subject of marvel and mystery to me. I’ve been jilted for a blonde. Go figure. 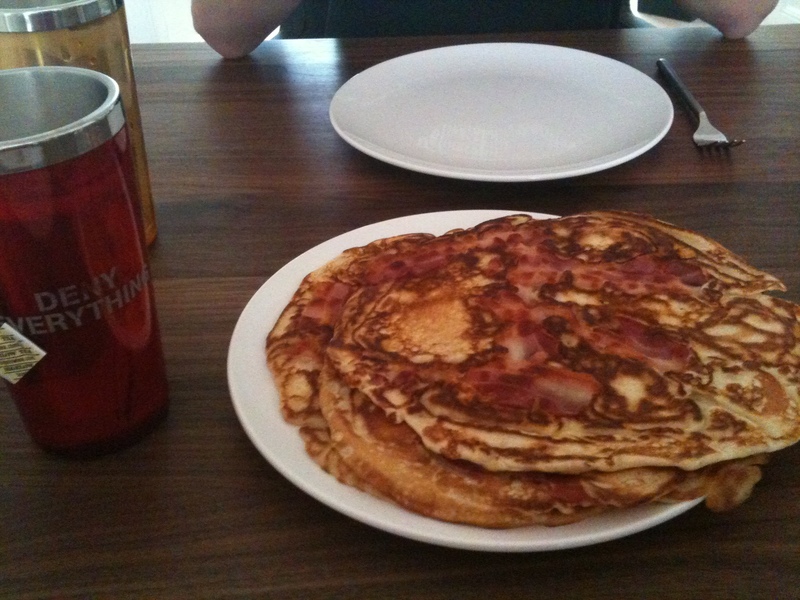 We had more pancakes with bacon, using a different bacon this time, and it was much better. Crunchier, saltier…and goes really well with the stash of maple syrup I have. Now that my mugs are here I can have a properly sized cup of tea in the morning. He got me a chocolate letter, which is apparently a Dutch thing. 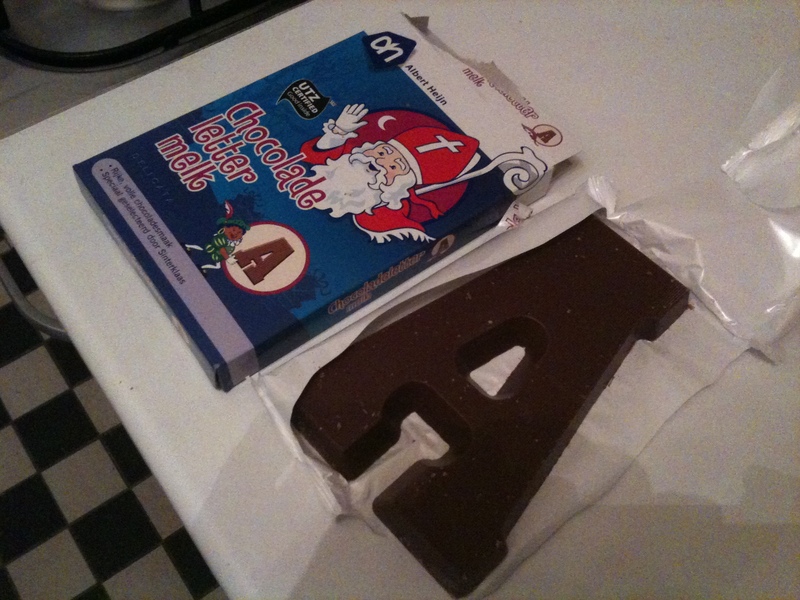 During the time of Sinterklaas people give each other letters that generally correspond to their first names, so mine was an “A”. Yum. This is an idea I approve of! We’ve been going on lots of walks. 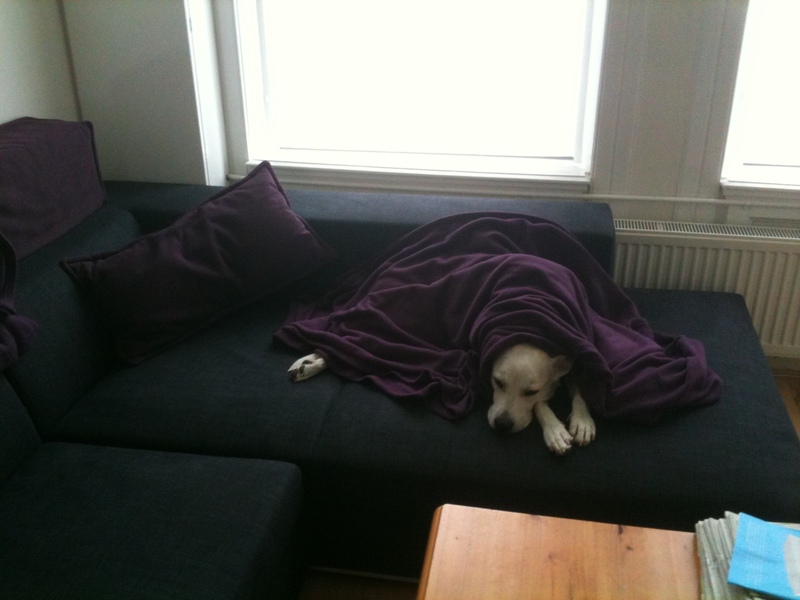 Daisy is now a city dog and requires a trip to De Poopen Place at regular intervals. 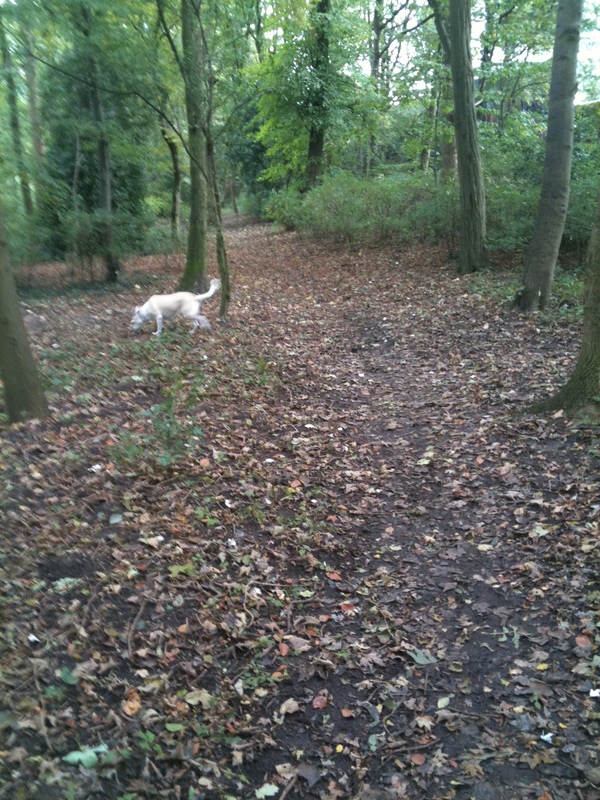 Im very lucky to have such a place to take my dog which is literally 2 minutes walk from our house. She seems to be doing okay with this whole thing. She’s not appreciably nervous or fretful and she’s settled right in at the house where she’s being spoiled rotten by everyone in sight. When it freezes hard and people go out on the canals to skate, food vendors pop up, predictably enough. What I didn’t see coming was what they sell. This entry was posted on October 25, 2010 by Coyote. It was filed under Uncategorized . Hey lady! I’ve been following your travels and landing on FB and on the blog. I’m so thrilled to see that you and puppy and settling in so wonderfully! The stamppot sounds and looks like the meal my husband makes with the Thanksgiving leftovers! A little of this, little of that, a pinch of bacon, swirl it all up… how bad can that be?!? Thanks, Aimee. 🙂 Is your husband of Scandi origins? Split pea soup is DA BOMB. You had me at “sausage”. I need me some of that stamppot. It’s really easy to make, J. Or else get yourself and your wife on a plane and come visit! Im taking notes, JD. That sounds really good!